The volcano that changed the Earth. If you’re in Pancasila, you’re here for one reason and one reason alone: to climb Gunung Tambora. The small village perches on the lower slopes of the Volcano That Changed Everything, little more than a sprawling of village houses surrounding an oversized football field, which in turn is surrounded by vast coffee plantations. The village is a fairly nondescript affair, with a few simple places to stay and a handful of spots to eat. The people, as with all of Sumbawa, are very friendly. Here it’s all about the climb. 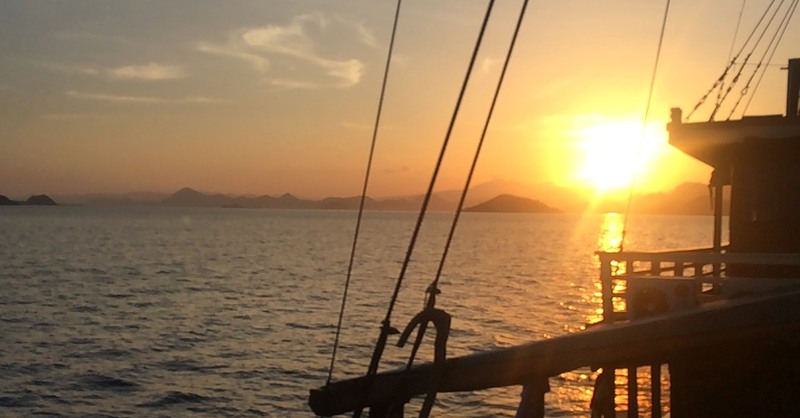 The only other possible reason (that we can some up with, anyway) is you’re in Pancasila to visit Satonda Island. But really, climb the volcano first and give yourself Satonda as a reward afterwards! The mechanics of climbing the peak are relatively straightforward. You need to register before climbing (you can do so at the office at Pondok Petulang) and then, assuming you have all the kit you need, you can start walking. Unlike some volcanoes in Indonesia, hiring a guide or a porter is not compulsory for Tambora, but we would strongly advise against embarking on the climb without one or the other. The costs are reasonable and, at least when we did it (at end of wet season), the trail can be infernally difficult to find — even with a guide. In our case, with someone who had climbed three times previously we got lost twice coming down. Hire a guide or a porter. There is some basic gear you will need: decent boots, a tent, a sleeping bag and a bedroll. Unless you’re planning on eating dry instant noodles the entire way (not recommended), you’ll need something to cook with. You’ll need a raincoat or poncho. A torch for the final ascent (and for when you get lost) will be needed. Charge all your gear. There is no phone signal on the peak — nor barely in Pancasila for that matter. You’ll have to wait to post your selfies on social media. If you are in good shape and attuned to climbing volcanoes, you could conceivably leave Pancasila very early, climb to Pos 5 in a day, summit the next morning and then walk all the way out, arriving back at Pancasila in the late afternoon. That would be a pretty hard haul and, if you have more time, doing two days up and one day down, or even two days up and two days down, is more comfortable. A slower walk also allows you to take in some of the scenery along the way; who wants to feel like they are on a military expedition? For a firsthand report on the climb, you can read our piece here, or read others at the go-to site for volcano climbing in Indonesia, GunungBagging. The closest real ATM is in Dompu. There is a BRI ATM in Calabri, but BRI often doesn’t work with international cards, so should not be relied upon. So bring enough cash with you. There isn’t really a phone signal in Pancasila — if you’re lucky you may get an on-again, off-again signal on the veranda closest to the oval at Pondok Petulang. If you’re needing to get online, Pancasila isn’t for you.  Please sign up as a Travelfish member to download the Tambora guide PDF (0.8 MB, 12 pages). Membership costs just A$35 per year (less than A$1 per week) and gives you access to over 250 PDF guides. Use the above map to find specific destinations in and around Tambora which are listed on Travelfish. Bed icons indicate a guesthouse, hostel or hotel, the knife and fork is an eatery or bar and the four-way circular thingy marks sights, attractions and other points of interest. Click on any icon for a short pop-up and a direct link to the page for that spot. If you are in the area, use the teardrop icon near the top left to show your position on the map (you'll need to allow position sharing for this last feature to work).